A man is in custody, and a number of people are injured. 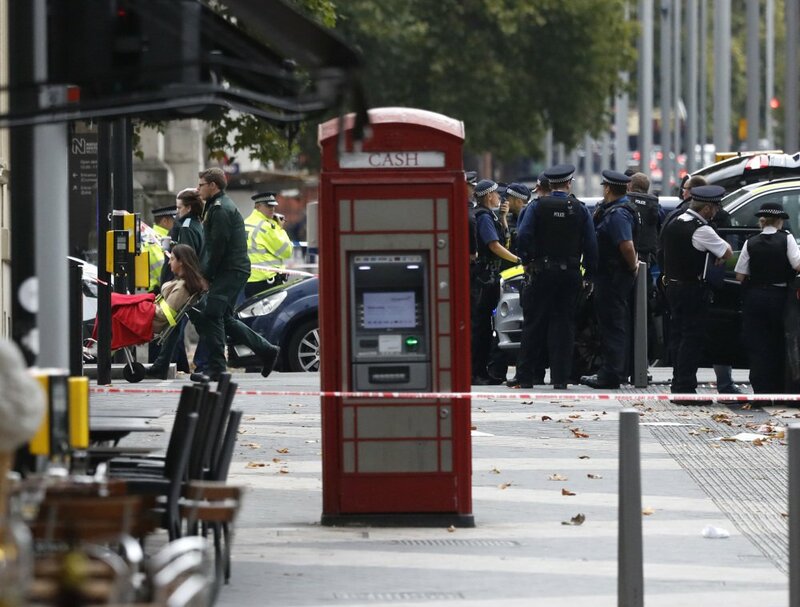 LONDON — British emergency services raced to London’s Natural History Museum after a car struck pedestrians Saturday outside the building. Police said a number of people were injured and one person was detained at the scene. “From what we’ve seen in the methodology of other attacks I wouldn’t rule it out, but we just don’t have enough information on the ground to determine that at this point,” said a British security official who spoke on condition of anonymity because he was not authorized to speak about the investigation. The London Ambulance Service was tending to the injured. There was no immediate statement on the number or severity of the injuries. London’s official terrorist threat level has been set at “severe,” indicating an attack is highly likely. There have been a series of terror attacks on London and Manchester this year, including vehicle attacks on pedestrians at Westminster Bridge and London Bridge.